Hav­ing an authen­tic real estate agent brand­ing is cru­cial for com­pe­ti­tion to sell/buy homes can be fierce. 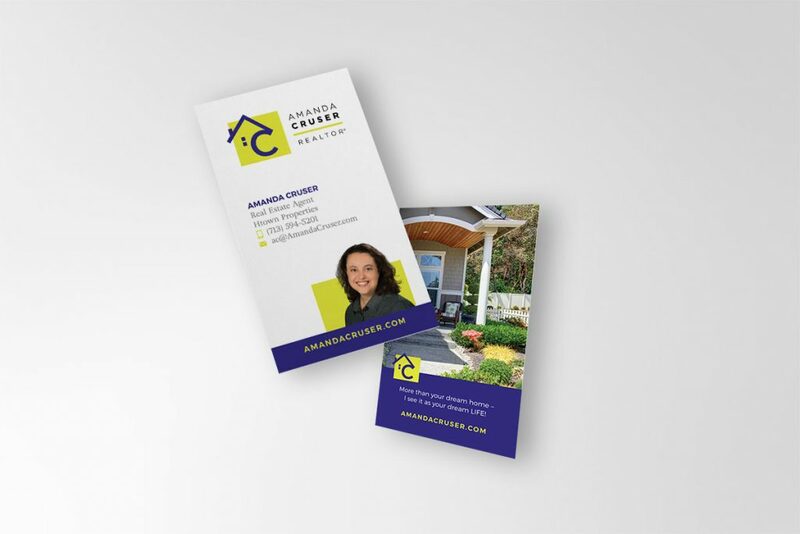 The vision for Amanda’s brand­ing was to devel­op her as a per­son­al brand as a high-end Real estate agent. 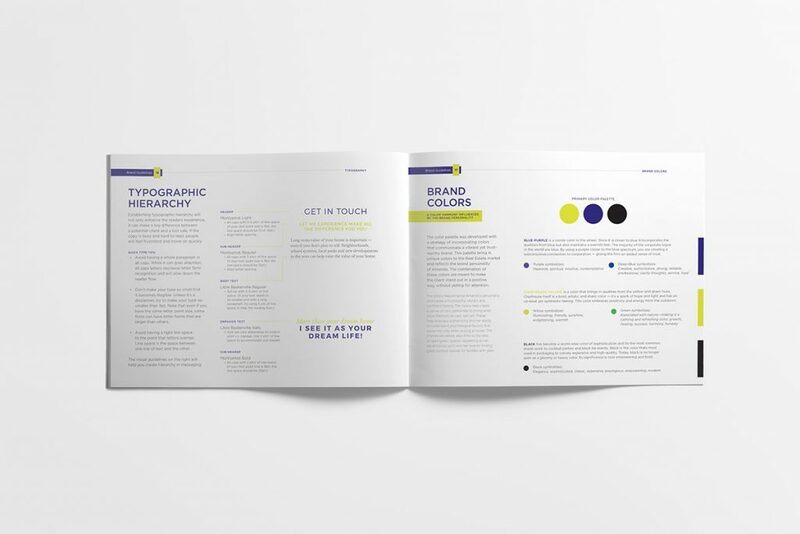 To cre­ate a rela­tion to her ide­al tar­get mar­ket, we devel­oped a brand approach that felt vibrant, authen­tic and sin­cere. We dug deep into the expe­ri­ence of buy­ing or sell­ing a home with her. When you work with Amana­da, it’s like work­ing with fam­i­ly — we want­ed to high­light that through­out her mes­sag­ing. 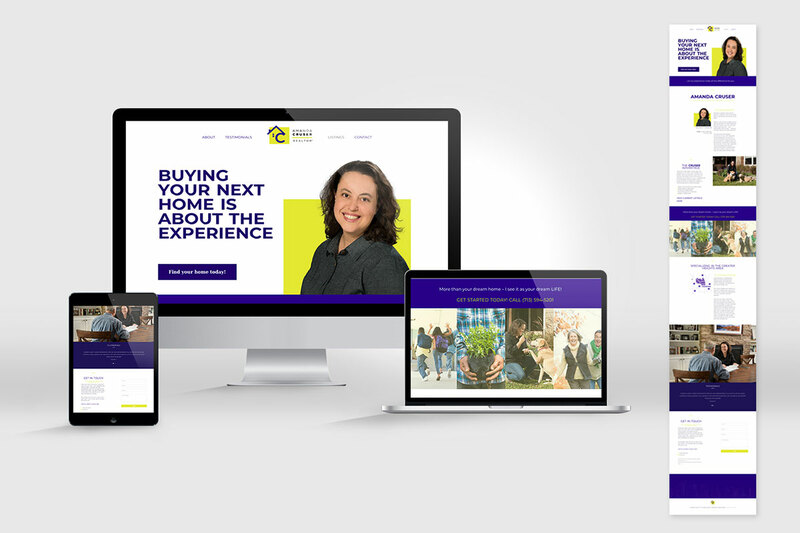 Our goal was to push away from the typ­i­cal real estate agent brand­ing in the mar­ket. Espe­cial­ly, the logos which are over­ly sat­u­rat­ed with red and grey tones. We con­cep­tu­al­ized a sim­ple, yet unique styl­ized sym­bol for her brand­mark. The styl­ized open roof con­nects to the ini­tial “C” from Amanda’s last name. We avoid­ed the typ­i­cal house shape for two rea­sons. 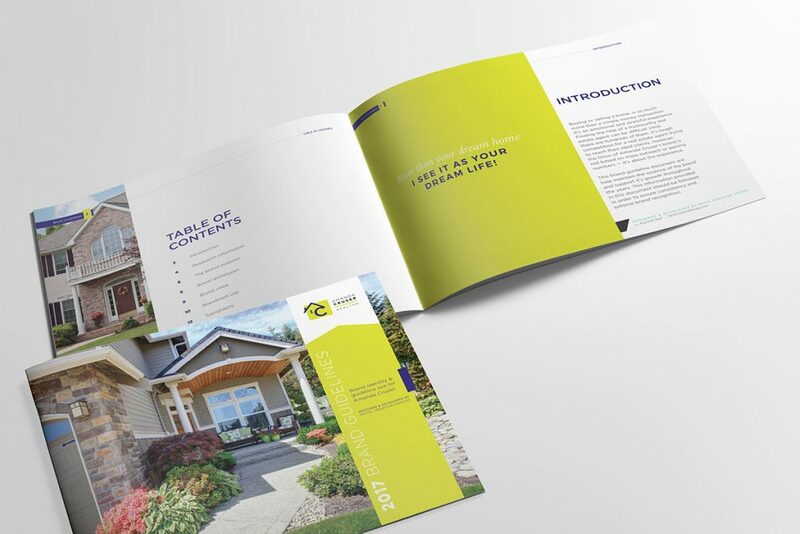 One: the mar­ket was incred­i­bly sat­u­rat­ed with this design approach, and two: the open house relates to Amanda’s abil­i­ty to have an open dia­logue with her clients to fit their needs. This would be like the con­cept of a glass half emp­ty. 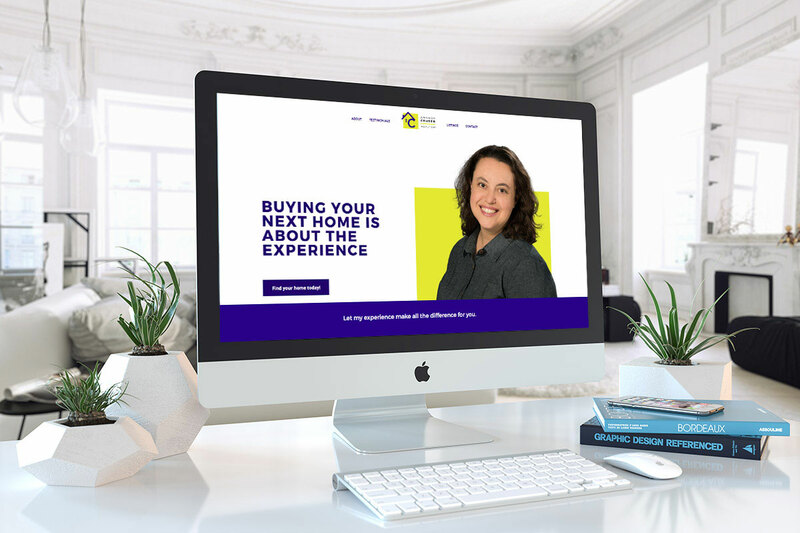 Amanda’s approach is unique in her way of serv­ing her clients with hon­esty and integri­ty — she won’t sell a house, just to sell a house. And that is reflect­ed across her brand mes­sag­ing and web­site con­tent. We also pro­vid­ed a vari­ety of col­lat­er­al that sup­port­ed cohe­sive­ness in her brand­ing. Allow­ing Aman­da to focus on her clients. Our goal was to devel­op a cohe­sive brand that allowed Aman­da to reach her ide­al clients, and pro­vid­ed her the tools to main­tain con­sis­ten­cy as she man­aged her brand.